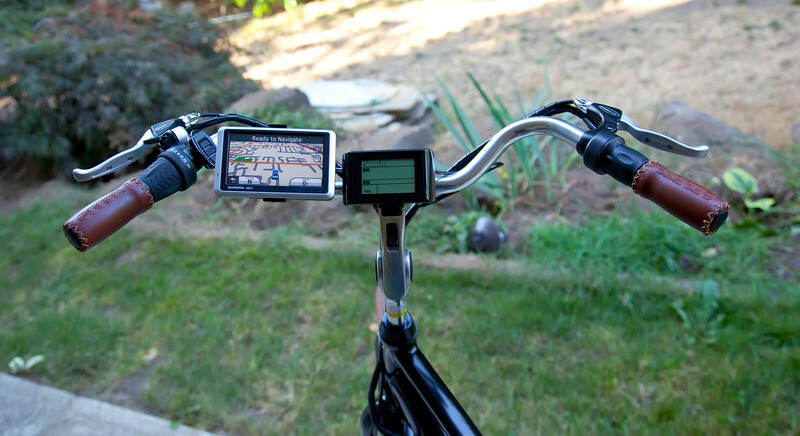 My Pedego Classic City Commuter drivers dashboard. Built in computer for things like battery life, mph, power modes, etc. Various fingertip controls for changing gears, power settings, throttle, etc. Then, of course, I have also added the Garmin Nuvi GPS. I have been using a small mirror mounted to my helmet. I have decided to add a larger handlebar mirror. So when that gets mounted it will be in this view as well.